I always admire people who send out Christmas or New Year’s newsletters and tell you all the wonderful, funny or tragic details of the year past. I keep feeling nothing major happened in my life but I start thinking about things and quickly realize that I am far from the truth. Starting at home, there is never a dull moment, whether it be due to our different cultures and customs or whether it be because of our age difference, B. and I surely know how to keep ourselves entertained…! Then there is this blog. It has given me so much in the past year that I wanted to remember the good and sad moments, the friendships and mind blowing events I have experienced. I did this post a little selfishly to have a reference of this past year but I also wanted to highlights for you guys the moments of 2007 that make this blog what it is today and I could not do it without your readership. January 2007: After a wonderful 3 weeks back home in France it was hard to get myself back in the groove. I had tasted so many delicious pastries and foods that I felt kind of lame in my little kitchen. It made me miss restaurant work (and trust me I itch for it everyday but not in this town!). One way to quickly snap out of it was by making creamy delicious Chestnut Mousse. February 2007: Month of all things Valentine reds and rosy pink, little did I know that by sending Ivonne a Valentine’s card that she would try to seduce me with a cake. Mr.Tartelette still does not quite get it! It was also the month I finally made the most fat laden lemon cream filling by bloggers’s sugar daddy Pierre Herme, and this most excellent Nutella Mousse with Macarons. March 2007: It was “step out of your comfort zone” for me. First,inspired by Marce I had the brilliant (sarcasm) idea to put Dulce de Leche in brioche rolls…talk about gooey sticky mess all over my counter top, apron, and pan! I then experience with sweet avocado cream and meringue. I still can’t get people to trust me on that one, but one bite and they are sold. Then there was the Sunflower bread, time consuming but delicious. Lastly, I won my first “competition”, HHDD hosted by less evil twin Peabody, with a Japanese style cheesecake served with Salted butter Caramel sauce. Surprised, elated…happy ya’ll deemed it worthy! April 2007: As the winner of HHDD I got to host my first blog event and what a thrill that was! I loved every minute of it, the energy and high of hosting! Then there was the ever notorious Daring Bakers’ Chocolate Cr(a)epe cake challenge. I got in touch with my inner caramel diva but the whole thing made me curse the Martha! Poor Brilynn for calming our frustrations! That month I also professed my love for another sugar daddy, Richard Leach and made my best macarons to date (according to the people who ate them) Blood Orange Macarons. I also started to give you guys serious hints about my love for verrines and all things that are small and can be put in a glass. May 2007: Definitely a bittersweet month. By participating in the Livestrong event, hosted by Barbara, one of the nicest bloggers around (and she is so good to me) I experienced with a sweet creations while remembering the loss of my grandmother and brother to cancer. Blog surfing one day, I met Kate from Applemint and we realized we had the same birthday and decided to blog bake a cake for each other to mark the occasion. May was very related to home and family, clafoutis, ile flottante but I was obviously as serious with my ice cream making!! Oh, and more caramel by hosting my first Daring Bakers challenge with Anita, one of my first reads before I started blogging. Meeta also trusted me enough to ask me to write articles for The Daily Tiffin, and it is a pleasure to be able to motivate people. June 2007: What did not start as great month turned out to be the one of the most heart fulfilling ones after all. Blogging friends came numerous to cheer me up after a loss in my family with notes, cards, emails, and presents, every single day there was something wonderful and magic at my doorstep. Celebrating friends’birthday or blogging event provided great times in the kitchen. Putting our favorite candy in macarons was also one of the highlights of the month. The other one being winning DMBLGIT for the first time with this spur of the moment picture. July 2007: Finally meeting Lisa was definitely “it” in July. To put it in her words, finding this bestest friend was quite unexpected but fills me everyday with joy and laughter…oh boy do I hold my ribs when opening my emails! Thinking outside the box and using bubble wrap in unusual ways was also another fun moment that she pushed me to do when I was not sure it would turn out ok. Starting a fun world wide event with Hannah and her cutest crochet eggs (not bad for a vegan!) was a way to get more bloggers involved to reach across the miles…I am dying to know where are the eggs now! August 2007: Definitely a family month for me. My goddaughter came to the US for the first time and we had a great time both in the kitchen and in the city. It made me realize how many American things and habits had become "mine" and how many traditions I still had from home. Macarons and cakes were made many times, as well as cute cupcake cones and delicious caramel chocolate tarts! I was the cool godmother, woohoo!! September 2007: I became a Brownie babe, with a cool apron to show for it!! My parents came for a while and I had to adopt our favorite treat due to their diet restrictions, but this month was particularly enhanced thanks to gorgeous gifts from other bloggers dear to my heart. Mary and Elle, I cannot thank you enough for the boxes of Meyer lemons and quinces that helped me bake tasty treats for those around me. When the craziness of the holidays calms down a bit you’d better stay close to your mailboxes. October 2007: Wow! Another DMBLGIT award and I have to thank my mom for that one because my Daring Baker’s sticky buns look much better with her frames as the background! I enjoyed playing with my blowtorch and pretend it was Fall while carving some pumpkins. I went to see Lisa for the second time, and was joined by Mary who really went out of her way with the flight situations. We had a wonderful time, baked up a storm and while I was there I copied so many recipes from a magazine Lisa had that I am surprised I only made this cake so far!! November 2007: All about friends and pies and buns again! I tried new flavors and food, such as dried hibiscus flowers, but also reminisced about my late grandmother and her great tarts. Coconut cream pie looked mighty deconstructed and prettier thanks to a long time friend while cranberry and nuts tart became a new Thanksgiving favorites. The cross states cinnabon knockoff adventures made up a sick day turn into play day thanks to Mrs. Sassy herself. Then Tanna asked me to cover myself in sticky dough and I could not refuse! December 2007: This month finally sealed my addiction for cinnamon rolls and unusual macaron flavors. It was also the month to celebrate other’s holidays as well as my own traditions. I was the lucky recipient of a pay it forward package and I am dying to send one to Sarah to continue the chain, as soon as I get her mailing address. It was all about the friends who become family and good times. Cream became the definite flavor this month and I might have a couple more up my sleeve to start the New Year. Stay tuned! Well, there you have it….my blogging year in a nutshell. What a wonderful year 2007 was! I plan on continuing to share the love with you guys in 2008 and keep improving my recipes, pictures and writing. Thanks for your comments, questions and readership, they mean the world to me! A very good year indeed. Here is to a happy and healthy 2008! A great year! Wishing you all the best for the New Year! So much great food. Thank you for sharing these magnificent recipes with us. I wish you a happy and prosperous New Year full of more delicious food. 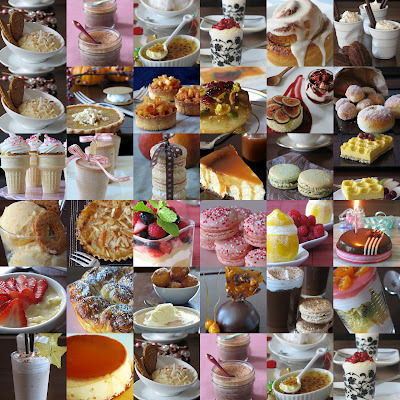 Very fun; love the collage of all the yummy sweets you've made! What a great year you had, Helen! Here's to a prosperous 2008! Happy New Year! Beautiful collage, and a lovely review of your year. Looking forward to more good things from the Tartelette in 2008. Happy new year! It was a great year by the sounds of it. Thanks for sharing the highlights. Beautiful collage of your pics. What a wonderful year! I'm excited to see what 2008 brings! Yes, it has been a great year with you, Tartelette - you definitely inspired us to start our blog! We love your baking and photos - can not wait to see what your inspiration in 2008! What a trip down the Tartelette lane, Helene. I LOVED it! What a lot of work this must have been. I love your blog and you! A very happy and prosperous new year to you. I had to go back to that chestnut mousse, I finally found some chestnut puree here and have been wondering what I will use it in! Lovely roundup. Let's make 2008 even better! What a lovely tribute to a delicious 2007---thanks! Happy 2008! 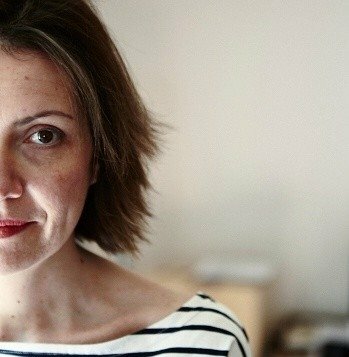 Yours is one of my favorite blogs. love the round-up you wrote. Happy New Year, my friend! What a lovely way to wind up 2007! I remember most of those posts. Thank you for being so kind and supportive to me as I timidly entered the world of blogging. You really made me feel like "one of the group". I wish you a Happy New Year filled with wonderful things! Now that is marvelous! That is really a treasure. I'm so happy to look forward to this new year and all the goodies it has in store for us. Wishing you the very best! What a wonderful, delicious year you've had! I hope the next one is even better. Wow, you've had quite a year. Here's hoping that 2008 will be even better than 2007! I love the collage. It's so great to remember what we've done and how far we've come. Cheers to love, great health, prosperity, and fabulous food in the new year! What a wonderful recollection. Happy New Year, Helen. I am so glad that I discovered your blog. You are an inspiration! Happy New Year to you too! I’ve enjoyed reading about all your delicious adventures and look forward to more in 2008! I have enjoyed reading all your posts and look forward to many more! Happy New Year to you! Ce collage est parfait: en un seul coup d'oeil, toutes tes réalisations les unes plus appétissantes que les autres, toujours bien réalisées et photographiées. Même si je n'ai plus le temps de lire tous les billets en détail comme je le voudrais, venir chez toi est toujours un pur moment de bonheur. Happy New Year qui j'en suis sûre sera autant sinon plus gourmande et généreuse que 2007! Hi Helen - Back from India...Can you email me? I've sent you an email on the 11th and the 13th and now again this afternoon with my address - I fear they are getting stuck in your antispam? I'm so late getting back into the blogs but you're so sweet to mention me! Now it's your blog that inspires me! Happy new year and looking forward to a sweet 2008! I love the way you've rounded up your year. It's a delicious visual feast as well as a good incentive to trawl thru some of your old posts. Happy 2008.